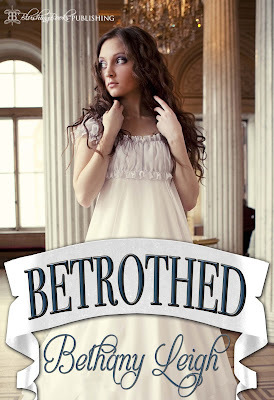 Today I'd like to welcome author Bethany Leigh to my blog! Is Freedom your first book? No, but it’s my first published book. Blushing Books accepted three of my titles at the same time, and published the most recently written one, Freedom, first. 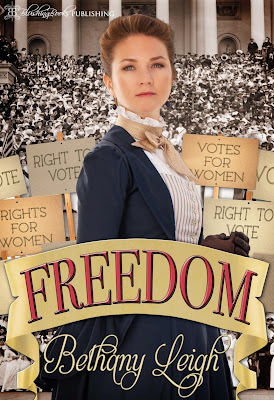 Freedom is set in an alternate Edwardian universe and centres on the campaign of Lady Margia and her Freedom for Women League to gain rights for women – including the right not to be spanked by their menfolk. It follows the adventures of three women – Lady Margia, Lady Isobelle and the maid Edie – as the campaign gathers momentum. They encounter romance on the trail as well as adventure and spankings. A prequel, Betrothed, was released at the same time as Freedom. What is that about? 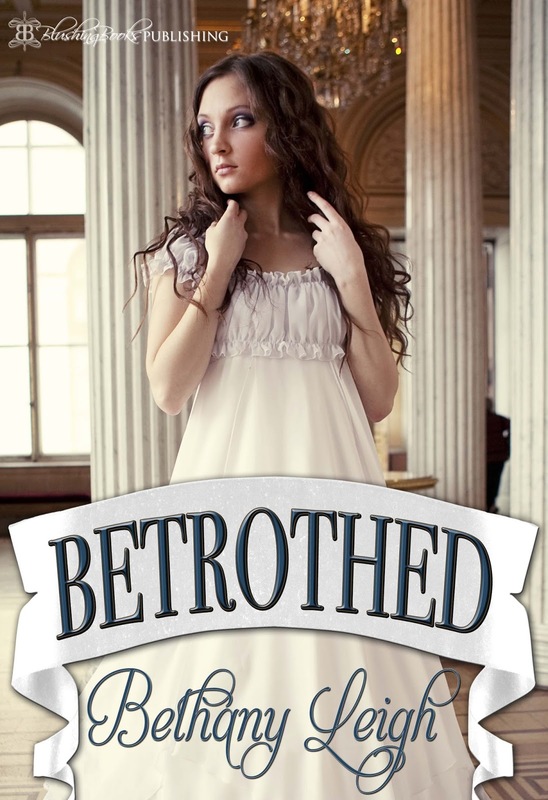 Betrothed is a short story set in Lady Margia’s world before the events of Freedom. The heroine, Lady Cassandra, attends one of Lady Margia’s rallies and incurs the wrath of her fiancé for doing so. It also introduces the concept of the bedding ceremony, which is one of the things Lady Margia is campaigning to abolish. I have always written, but only started writing in this genre a few years ago. I entered an erotica short-story contest. My story didn’t win, but I submitted it to an online spanking romance magazine and it was accepted. I wrote several more short stories for that magazine and now have been fortunate enough to have my novellas accepted by Blushing Books. At Dead of Night is a contemporary whodunit. The main character, Lucy, is a PI who comes back in contact with an ex-boyfriend while she’s investigating a new case. She still loves him but struggles with the fact he wants to spank her if she puts herself in danger. After all, danger is part of her job. It’ll be released on 7 January. He joined them by the fire when Lady Drusilla had poured tea. "I understand your rally was broken up, Lady Margia," he said. Lady Margia nodded. "Yes, but I'd almost finished my speech, so it didn't matter. As long as the message went out." Sir Cormac reached for a scone. "That's all right for you to say, surely?" Lady Margia sighed. "What do you mean?" "Well, you're one of the few women at that rally who'll be sitting comfortably right now. I find your campaign very irresponsible, Lady Margia. You spare no thought for those women currently regretting their defiance, or for the men who really have better things to do than have to constantly police their womenfolk's behaviour and administer punishment." "Then they should stick to those better things to do," said Lady Margia, "and let women make their own decisions about their own lives." She crossed over to the window to allow me some dignity while I applied the ointment. It felt refreshingly cool on my throbbing bottom and thighs. “Where did you get this from?” I asked. “Why have you never let me use this before?” I couldn’t believe the difference in soreness level already; I’d need to get some of this for when I was married. Bethany can be found on her website and on Facebook or Twitter: @writerbethany1. All her books can be found on her Amazon author page.